And, if you don’t find something on this page, take a look at my lists from 2010 and 2011 for more fun ideas. 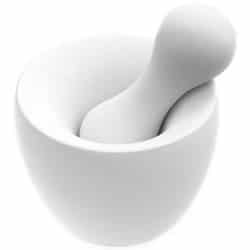 Let’s be honest, a mortar & pestle probably doesn’t get used all that often. But with this one, it doesn’t matter, because it’s also a work of art! Though of course I do hope your recipient uses it, since it’s ergonomically designed to grind herbs & spices more efficiently than the typical stone bowl and stick. With a few flicks of your wrist, you can have super-fancy, spiral-cut veggies! 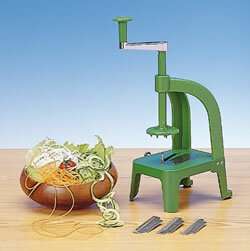 My friend Jocelyn loves hers: “Besides slicing, it can make any vegetable of a reasonably hardy nature into noodles. This is fabulous for anyone who: a) wants to cut down (or out) on pasta; b) wants to get more veggies into their diet or c) likes to play with their food. I’m a fan of all of the above.” Perfect for making Pesto Zucchini Noodles! Healthy eating’s never been more beautiful! 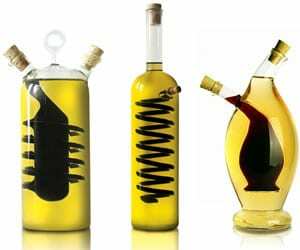 These hand-blown oil & vinegar cruets from NY cruet caught my eye a couple of months ago – what a presentation! I’m 6’2″ tall – and my back would start hurting after chopping lots of veggies. That is, until this hefty bamboo butcher block solved my problems! I prefer bamboo cutting boards because they’re sustainable, easy on your knives, and naturally resistant to bacteria… and so very pretty! 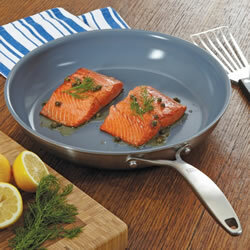 Speaking of Jeffrey’s many talents, he’s also the co-author of the Zwilling J.A. Henckels Complete Book of Knife Skills. With hundreds of full-color photos, they break down all the various techniques you’d ever want or need – and throw in tons of other great info as well. Smartly, it’s spiral-bound so it lays conveniently flat while you’re working. We received one of these as a gift earlier this year, and it’s been a really useful addition to our kitchen. It replaces a slow cooker, rice cooker, and stovetop pressure cooker all in one compact device. While it’s working, you don’t have to keep an eye on it — which makes it safer and easier than a stovetop pressure cooker. Just put all the ingredients in, close the lid, and switch it on. It’ll heat up, and the pressure chamber will lock automatically. Once it’s at the right pressure, the timer starts counting down. When done, it slowly releases the pressure and then happily keeps your food warm until it’s time to eat. What do you get the foodie who has everything? How about some heirloom beans! 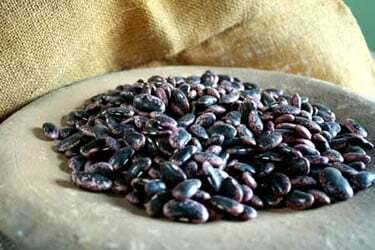 Rancho Gordo, in Napa, California, offers up beans with fabulous names such as Florida Butter, Scarlet Runner, Black Calypso, and Sangre de Toro (“Bull’s Blood” – yep, they’re a deep, deep red). With so many choices, the hardest part is picking which beans to buy – so you can always just order one of their wooden gift boxes. 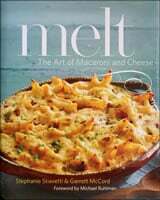 You can’t go wrong with a beautiful cookbook! 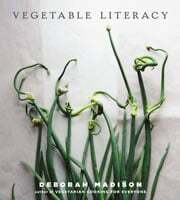 Some particularly drool-worthy titles I’ve come across recently: Jerusalem by Yotam Ottelenghi, The Art of Simple Food by Alice Waters* (and just released a couple of weeks ago: The Art of Simple Food II), Vegetable Literacy by Deborah Madison, Melt: The Art of Macaroni and Cheese by (my friends!) Stephanie Stiavetti and Garrett McCord, The Craft Beer Cookbook by (my friend!) Jackie Dodd, and Ancient Grains for Modern Meals by (my friend!) Maria Speck. * Waters’ Caesar Salad recipe is reason enough to buy this book. I received a version of this infuser about six or seven years ago. 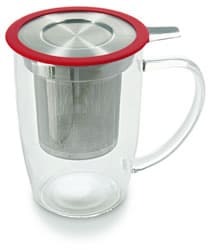 Sadly, I dropped the ceramic mug it came with, but I still use the infuser every morning to brew my Davidson’s Organic Gunpowder Green Tea (at $12.95/pound it’s a great deal – and tasty too!). 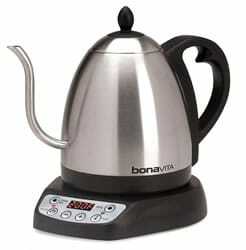 This electric tea kettle is perfect for families who brew at different temperatures. At our house, we set it to 140° for making Molly’s meals (we feed her The Honest Kitchen, which needs to be rehydrated), to 185° for my green tea, and 205° for Matty’s coffee. It heats faster than our previous kettle, and the gooseneck spout makes it easy to pour accurately (especially nice when brewing coffee in a Chemex). I also like that it’s all metal*, so you’re not boiling water in a plastic pot. * There’s a tiny silicone ring at the base of the thermometer, and there’s a small plastic piece at the top which sits above the water line. The rest is stainless steel. So it’s not 100% plastic-free, but it’s pretty good. Donating to a worthy non-profit — in your gift recipients’ honor — is a lovely way to show you care. It’s especially good for those folks in your life who really do have everything already, or who eschew material gifts. Mark Bittman has compiled a terrific list of non-profits to consider: Food Gifts That Matter. The Environmental Working Group may be best known for their Dirty Dozen & Clean Fifteen list of Organics, but did you know they also provide a safer sunscreen guide, and a safer cosmetics guide, a guide for safer cleaning products, and a water filter buyer’s guide? Their annual gift bag is a terrific way to support the important work they’re doing. 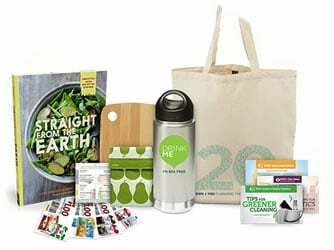 Filled with reusable goodies (water bottle, sandwich bag, grocery bag), a cookbook, a bamboo cutting board, and lots of coupons – this is sure to make a wonderful gift (even if it’s just for yourself!). I found out about nifty device because Matty announced that he ordered one for me for Hanukkah! This new sous vide machine was crowdsourced by a hugely successful Kickstarter campaign (fully funded on day one!). Since it’s brand new, they’re not actually shipping any more until late January next year. But that’s okay, it sure looks like it will be worth the wait! If you’ve ever wanted to try cooking sous vide, this is a far more compact (and far sexier, to be honest) machine than the other home-versions available today. I can’t wait to give it a whirl(pool)! Check out my 2010 Holiday Gift Guide and 2011 Holiday Gift Guide. Fabulous list. I will take one of each. 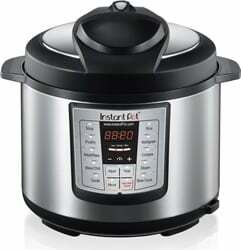 I have had my eye on that Instant Pot Electric Pressure Cooker ever since you first mentioned it. 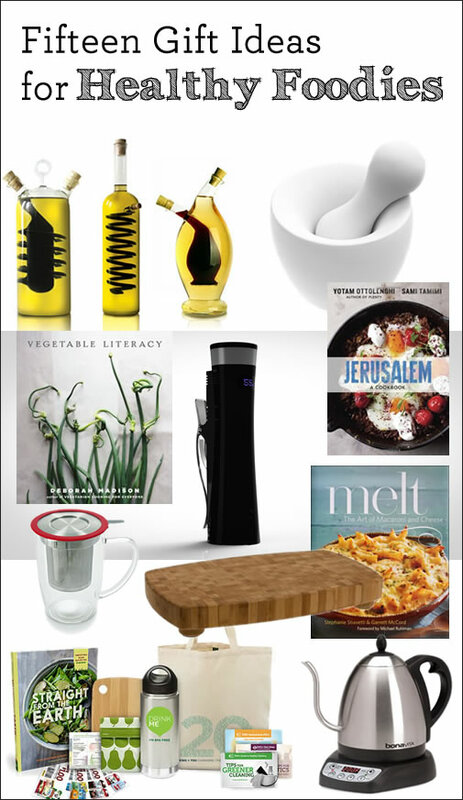 And that sous vide machine looks irresistible! Please blog about it once you get it. Jerusalem is my favorite cookbook of the year. Everything I have cooked out of it turned out great. While the majority of those ideas are great…I was so disappointed. What a hugely cost-heavy list, with nothing geared towards budgets that may not include these items. In general, I figure your budget and mine are pretty different (based on your posts) and I get that. However, I would hope with a large Christmas gift list there would be at least a few more that are actually logical/affordable for more people. Again, love the ideas- just not feasible for so many people struggling this time of year. Hi Amber – Glad you like my gift ideas! I definitely had people’s budgets in mind when putting together this list, though it also wasn’t intended to be a no-cost gift list (I would have titled it something else if it were!). Moreover, it’s hardly fair to say I offered “nothing” geared towards tight budgets. The Heirloom Beans are just $5.95/pound, the Salad-2-Go containers are $8.36 (for two! ), the Tea Infuser — and all eight of the book recommendations — are under $30 (some as low as ~$13). Of course, if you decided to “donate to a good cause,” that could be any amount you choose. I also linked to my 2010 and 2011 lists, which have quite a few other ideas under $20 or so. Love Heifer International!!! Wonderful gift to give!! !